We are a marketing and creative design studio based in the Newcastle and Hunter Region, NSW Australia offering exceptional graphic design, web and digital development, branding, social media services and photography. Promoting your products and services with creative flair, ensuring powerful connections that make lasting impressions to build your success! Indelible… Unable to be forgotten; memorable. That cannot be erased, eliminated; permanent; lasting, leaving an indelible mark. We help your brand connect with your audience using both print and digital media, making sure that you are effectively communicating and engaging with your customers. We create a memorable brand image and presence with striking marketing collateral to ensure your business delivers a captivating message to your target audience. Jo has been a reliable, responsive and creative extension to our business for well over 10 years. She has worked on a huge diversity of design and communication projects for us, from large public presentations and client proposals to social media advertisements, targeted EDM’s and event invitations. Jo’s customer service and attention to detail is outstanding and I recommend her highly. I have been working with Jo for over five years, developing our brand, website and various ongoing print/digital marketing material. I have always found her to be professional and prompt with the finished product being of a high standard. Huge thanks to the Indelible team for building our first responsive WordPress website. Staff training was excellent, making it easy for us to update and maintain our site… brilliant! The Indelible team succesfully designed, developed and implemented our fully customised/branded eBay store, enabling us to take our business to the next level. The whole process was streamlined with excellent staff training. We love the result! Indelible Image has provided Hunter OMS with a complete overhaul of our brand and key marketing collateral over the past three years and we have experienced the benefits. Jo provides a professional service that allows you to be a part of the design process and implementation. We look forward to our ongoing dealings with Jo and her team. “Our experience in dealing with Jo Addison of Indelible has been an absolute pleasure. Touchstone relies heavily on Jo’s expertise and creative instincts, in brand development, website and key marketing materials for our business and our property development projects. “My Company TRUWAY is a real estate buyer’s agency and building project management business, and I have been looking far and wide to find someone who could capture the professional service that TRUWAY offers our clients in the development of real estate, in both the commercial and residential space. I would, without hesitation recommend Jo and her team at Indelible Image, they truly understand your business and develop your corporate image. In todays market your business image and how it is presented to clients will mean the difference between success and missed opportunities. It’s an absolute privilege to work for, and alongside business owners, directors and staff from these well respected and successful companies! Our studio works because we are a very close-knit team of talented professionals, and our business works because we foster positive long-term relationships with our clients. We strive to leave lasting impressions by the way we interact with our clients, but even more by the work that we produce. Jo Addison, owner and creative director of Indelible Image, heads up our team of designers, IT, Web & SEO gurus, digital marketers, copywriters, illustrators and photographers. In most you cases you will deal directly with Jo from concept to completion! Jo is customer-focused and enjoys helping clients achieve better business performance utilising her creative flair. Marketer. Graphic Designer. Artist. Photographer. Horse Riding Passion. Mum. Tall. Creative. Happy. Determined. Versatile. Jo has worked in advertising and marketing for over 25 years. Jo started her career as a graphic designer working in various small boutique and large advertising agencies in Melbourne. Along with her partner, Jo owned and managed a graphic design/marketing consultancy with an office in South Melbourne for several years. 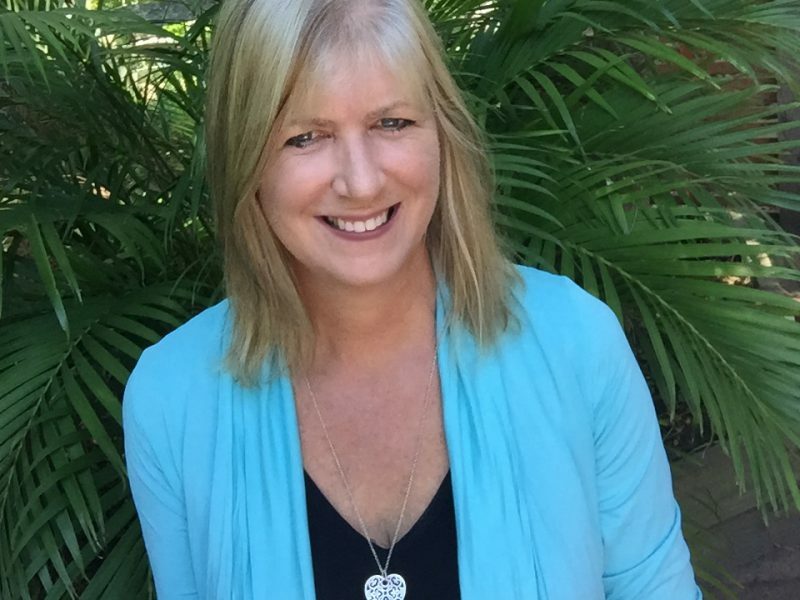 After relocating to Port Stephens in 1991, Jo worked in and alongside advertising agencies in the Hunter Region and became Marketing Manager for Direct Access and then for the Forsythes Group. Jo continues to service Forsythes in a design/marketing capacity and works with a variety of other local, national and international clients. Recognised for her technical ability and commercial knowledge, professionalism and work ethic, Jo specialises in creative marketing and design solutions that are simple, smart and effective. She has worked for a wide variety of industries including education and training, financial services, health, mining, telecommunications, engineering, construction and property, manufacturing, import and distribution, welfare, not-for-profit, churches and community. Jo has worked on a broad range of accounts such as; Australia Post, Club Med, Work Care, Esanda Finance, Link Telecommunications, BTR Nylex, Newcastle Engineering, Newcastle Permanent Building Society, Honeysuckle Developments, Industrial Pipe Systems, PCC Plastics, Computer Systems Australia, Westpac Rescue Helicopter, Nicholas Trust, Milcom, Samaritans Foundation, Heritage Motor Group, Glenwood Buildings and Jurox. Jo is married to Mark and together absolutely adore their adopted son, Levi Minlu from China. Other than loving to create, Jo has a passion for riding and training her dressage horse.